Cases of all-cause dementia and Alzheimer's did not significantly differ between study groups, but vascular care is safe and may reduce incidence of non-Alzheimer's dementia. Vascular intervention does not appear to reduce the risk of all-cause dementia in patients who are cognitively healthy, data presented at the Alzheimer’s Association International Conference in Toronto, indicate. However, the 6-year, nurse-led intervention did show fewer cases of non-Alzheimer’s dementia in the treatment group vs controls, as well as a positive impact on hypertension. Cardiovascular and lifestyle risk factors have been associated with risk of cognitive decline and dementia; however it is not known whether modifying these factors would have a positive impact on cognitive risk. In order to examine the effect of modifying these factors, Edo Richard, MD, PhD, of Academic Medical Center in Amsterdam, and Radboud University Medical Center in Nijmegen, the Netherlands, and colleagues conducted an the Prevention of Dementia By Intensive Vascular Care (preDIVA) trial, an open cluster-randomized controlled trial in 3536 patients (aged 70-78 years) who were randomized to nurse-led vascular care (n=1890) or usual care (n=1636). Intervention and follow-up took place over 6 years. Complete data were obtained for 3454 patients during a median follow-up of 6.7 years (21,341 person-years), during which 578 participants died. The researchers reported that dementia occurred in 6.7% of the cohort (n=233/3453), while stroke or transient ischemic attack occurred in 7.8% (n=222/2844). 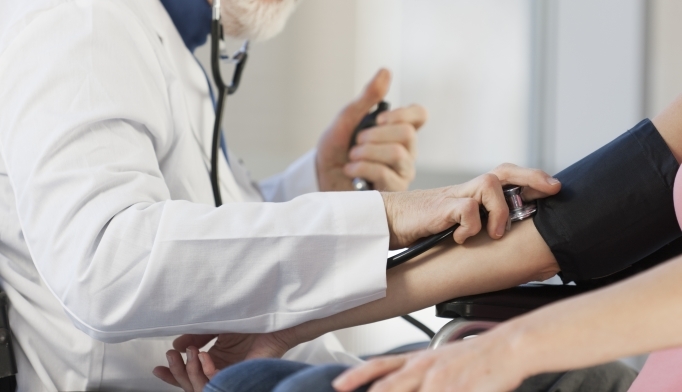 A decrease in blood pressure was seen across both the treatment and control groups; however the reduction was more significant in the treatment group (∆2.5 mmHG, P=.02), with the largest reduction seen in patients with grade 3 hypertension (∆6.2 mmHG, P=.05). Overall, cases of all-cause dementia and Alzheimer’s disease did not significantly differ between the treatment and control groups. Notably, there were fewer cases of all subtypes of dementia besides Alzheimer’s in the treatment group (11 of 1743; 1%) compared to the control group (23 of 1512; 2%; HR 0.37; P=.007). In a subgroup analysis of participants with untreated hypertension who adhered to the intervention, the researchers found that fewer cases of dementia occurred in the treatment group (22 of 512; 4%) vs the control group (35 of 471; 7%; HR 0.54; P=.02). “Though we were not able to show an effect on the primary outcome, our study shows that long-term, nurse-led vascular care in an unselected population of community dwelling older people is safe and may reduce incidence of non-Alzheimer’s dementia,” Dr Richard said in a statement. Richard E, et al. Prevention of Dementia By Intensive Vascular Care (preDIVA) – a Cluster-Randomized Trial. Presented at: Alzheimer’s Association International Conference 2016. July 22-28, 2016; Toronto, CA. Presentation #2315.